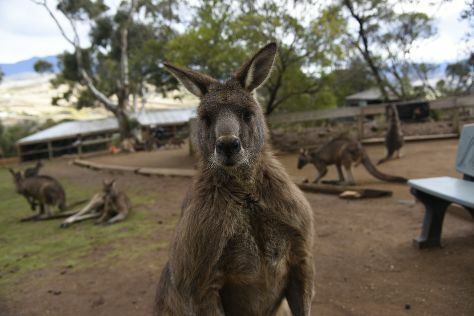 Get out of town with these interesting Launceston side-trips: Beaconsfield Mine & Heritage Centre (in Beaconsfield), Woolmers Estate (in Longford) and Beauty Point (Platypus House & Seahorse World). 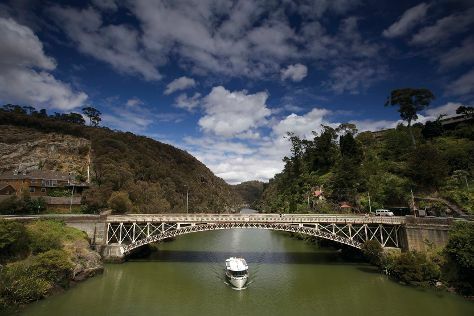 Next up on the itinerary: look for all kinds of wild species at Cataract Gorge Reserve, see the interesting displays at City Park Radio Museum, appreciate the views at The Tamar Valley, and get your game on at Gorge Scenic Chairlift. To find photos, traveler tips, ratings, and tourist information, you can read our Launceston road trip planning tool . Sydney to Launceston is an approximately 5-hour flight. You can also do a combination of flight and bus; or do a combination of train, ferry, and bus. Expect a bit cooler temperatures when traveling from Sydney in November; daily highs in Launceston reach 22°C and lows reach 8°C. Finish up your sightseeing early on the 8th (Fri) so you can go by car to Stanley. Stanley is a town on the north-west coast of Tasmania, Australia. Start off your visit on the 9th (Sat): make a trip to Joe Lyons Cottage, stop by The Angel's Share, then steep yourself in history at Highfield Historic Site, and finally identify plant and animal life at The Nut State Reserve. For photos, more things to do, ratings, and more tourist information, read Stanley trip builder site . You can drive from Launceston to Stanley in 3 hours. Alternatively, you can take a bus; or take a bus. Expect a daytime high around 22°C in November, and nighttime lows around 8°C. 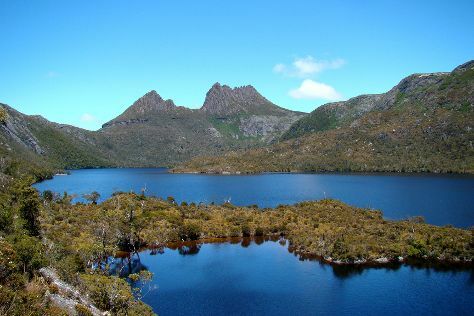 Cap off your sightseeing on the 9th (Sat) early enough to go by car to Cradle Mountain-Lake St. Clair National Park. Change things up with these side-trips from Cradle Mountain-Lake St. Clair National Park: Strahan (Henty Dunes, Morrisons Huon Pine Sawmill, & more) and Zeehan Rock Shop (in Zeehan). Next up on the itinerary: contemplate the waterfront views at Dove Lake Circuit and take in the awesome beauty at Barn Bluff. For maps, ratings, photos, and more tourist information, use the Cradle Mountain-Lake St. Clair National Park itinerary builder app . Getting from Stanley to Cradle Mountain-Lake St. Clair National Park by car takes about 4.5 hours. Other options: do a combination of bus and car. Finish your sightseeing early on the 12th (Tue) so you can drive to Coles Bay. Get out of town with these interesting Coles Bay side-trips: Swansea (Melshell Oysters & Spiky Bridge). Spend the 14th (Thu) exploring nature at Freycinet National Park. 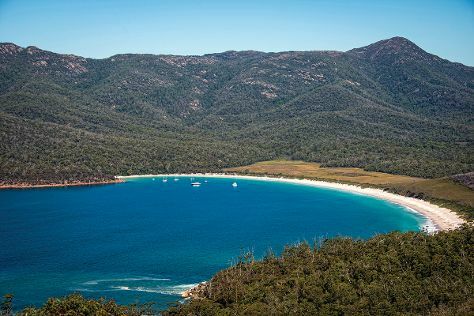 And it doesn't end there: trek along Wineglass Bay Lookout, explore and take pictures at Freycinet Marine Farm, surround yourself with nature on a nature and wildlife tour, and get up close to creatures of the deep with a dolphin and whale watching tour. For other places to visit, where to stay, maps, and other tourist information, refer to the Coles Bay online tour itinerary planner . You can drive from Cradle Mountain-Lake St. Clair National Park to Coles Bay in 5 hours. Alternatively, you can do a combination of car and bus. Wrap up your sightseeing on the 16th (Sat) to allow time to drive to Port Arthur. Port Arthur is known for historic sites, trails, nature, and breweries & distilleries. 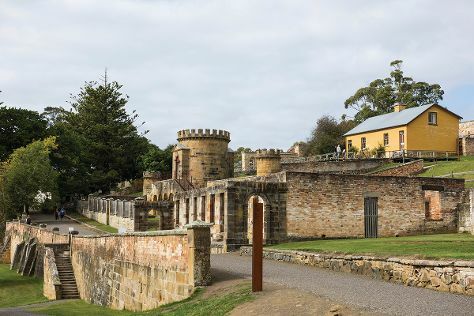 Your plan includes some of its best attractions: take an in-depth tour of Port Arthur Historic Site, make a trip to Remarkable Cave, look for all kinds of wild species at Tasmanian Devil Unzoo, and contemplate the long history of Australian Convict Sites. To find reviews, maps, ratings, and other tourist information, go to the Port Arthur journey planner . Traveling by car from Coles Bay to Port Arthur takes 3.5 hours. Alternatively, you can take a bus. In November, daytime highs in Port Arthur are 22°C, while nighttime lows are 11°C. Wrap up your sightseeing on the 19th (Tue) to allow time to drive to Hobart. 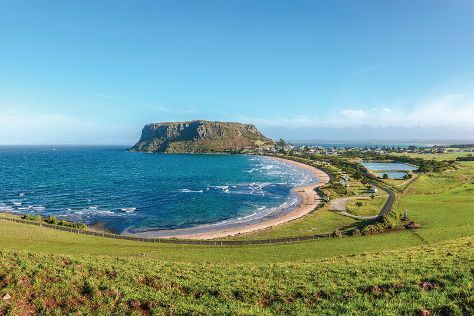 Explore the numerous day-trip ideas around Hobart: Bonorong Wildlife Sanctuary (in Brighton) and The Sensory Tasmania (in Richmond). On the 21st (Thu), give your taste buds a day to remember with a local gastronomic tour. There's much more to do: admire the natural beauty at Royal Tasmanian Botanical Gardens, contemplate the long history of Cascade Brewery, get curious at Tasmanian Museum and Art Gallery, and snap pictures at Richmond Bridge. To find where to stay, reviews, maps, and other tourist information, use the Hobart trip planning website . Getting from Port Arthur to Hobart by car takes about 1.5 hours. Other options: take a bus. In November, plan for daily highs up to 22°C, and evening lows to 11°C. Finish your sightseeing early on the 24th (Sun) so you can travel to Bruny Island. Spend the 26th (Tue) exploring nature at South Bruny National Park. There's lots more to do: don't miss a visit to The Neck, examine the collection at Bligh Museum of Pacific Exploration, hike along Fluted Cape Trail, and stop by Bruny Island Honey. To see reviews, other places to visit, ratings, and other tourist information, go to the Bruny Island trip planner . You can do a combination of car and ferry from Hobart to Bruny Island in 2 hours. Alternatively, you can do a combination of bus, ferry, and taxi. In November, plan for daily highs up to 22°C, and evening lows to 10°C. Wrap up your sightseeing by early afternoon on the 28th (Thu) to allow time for travel back home.